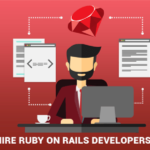 With its speed, coding efficiency and programmer-friendly approach, Ruby on Rails has gained remarkable popularity in the world of technology. 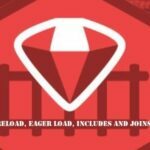 Its rich and extensive resources of all the frameworks and libraries combined with the focus on object-oriented syntax, clean coding practices and the well-developed community, Ruby on Rails is time-tested and market-proven as a developer-friendly technology. While theoretically it may sound like a great idea to hire freelance RoR developers and get your project accomplished, you get exposed to the real challenges of on-boarding freelance developers only once you gain a first-hand experience of it. The wide-ranging challenges freelancing brings with it, entail the need for efficient and agile project management and accountability in terms of the value generated for the money you spend. Often, you may fall into the trap of low quality code full of errors and bugs in the guise of ‘low cost development services’ by the freelancers. To add to this, if you happen to encounter unprofessional freelancers, the project delivery can end up becoming quite a hassle for your business, consuming a lot more resources as compared to what you had originally planned. The possibility of the lack of balance in the work responsibilities and coordination between your team and the freelancers and absence of clear and precise documentation of the project progress in a stage-by-stage manner can also not be avoided. It is a known fact that the freelancers prefer to work according to their preferred timings and if it is a little irregular and indisciplined, it might turn into an inconvenient service experience for your business. RailsCarma, on the other hand, offers regular services in fixed work timings and tops it with extended hours for availing you with regular and uninterrupted communication. 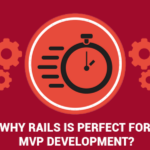 Unlike many freelancers, RailsCarma puts major emphasis on the code quality and makes it possible by hiring experienced and top-notch developers. The trust, assurance and the peace of mind, a brand like RailsCarma can impart, may not be brought about by freelancers with just couple of years of experience or no track record of success with building complex and high-performing applications. It all boils down to time and money! If you find reliable and good freelance developers, you might save on both your time and money, however, finding a trusted developer might be a challenge in itself. Freelancers might add an advantage in terms of the costs. For availing reliable and qualitative services at market-competitive prices, check out RailsCarma. 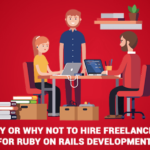 Of course, hiring freelance Ruby on Rails developers gives you the flexibility of hiring the development resources exactly according to your exact needs, however, it also builds the requirement for performing project management which might come directly on you. While it could still make sense to get a small enhancement performed by a highly experienced and well-communicating freelance developer, for a full-fledges project you might as well need to consider the need for managing your project efficiently which itself helps control the cost by giving you a big-picture view of the project. As we can see, getting a project accomplished with freelance developers might be feasible, however, getting a real-time view of in what direction it is headed and fine-tuning its progress in line with your business vision and immediate business needs, is something only professionals and experts can accomplish for you. 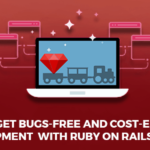 With years of experience in Ruby on Rails Development, Railscarma delivers you with ruby on rails application development by employing an agile project management and delivery model, with all the flexibility for you to choose from multiple engagement models to help you save on your costs further. Let us know in details about your enterprise RoR Application development needs and our experts will show you how we can make it efficient and cost-effective for your business. Contact us with you queries and concerns and our experts will get right back to you.